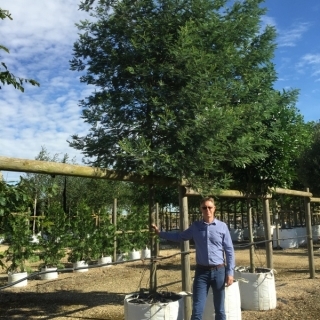 Until the bark matures the trunk of Acacia dealbata is a smooth blue which adds to its exotic appeal. 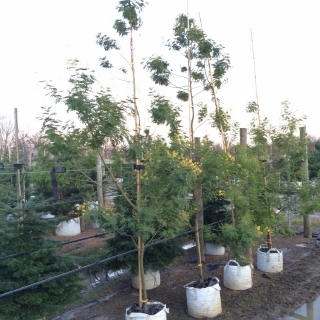 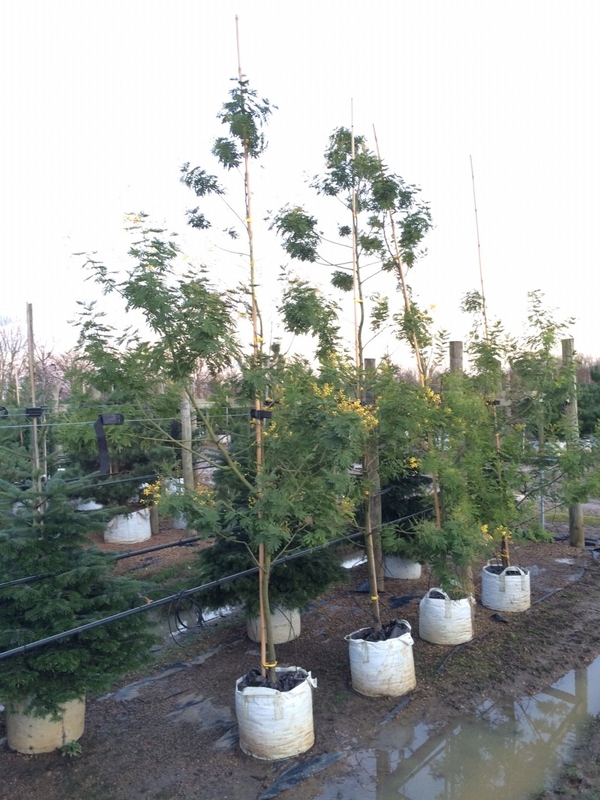 Acacia dealbata has greenish blue evergreen leaves which are bipinnate. 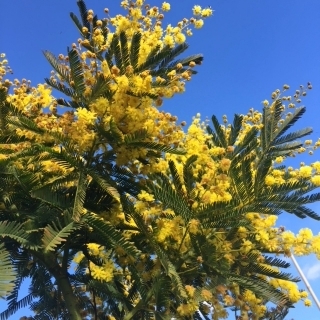 In the spring this attractive tree is overtaken by profuse racemes of fragrant bright yellow flowers. The Silver Wattle is not the toughest contender and as such we recommend this small tree to be planted in protected south facing aspects in Southern England as until they girth up they can be susceptible to getting nipped back by frost. 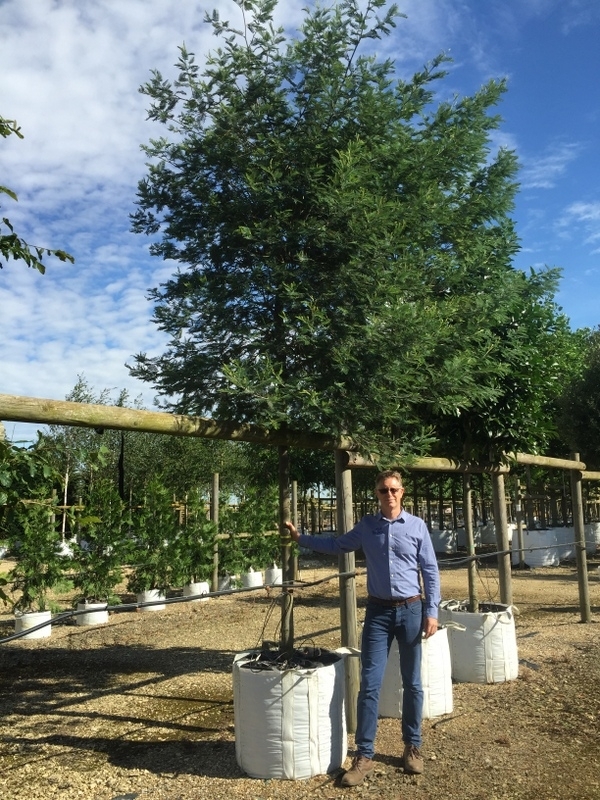 In recent years mature trees in less than ideal areas have been ravaged a little by the cold; so beware to plant in suitable protected locations to avoid disappointment.